Effie’s. There’s no need to throw away soggy crackers. We were disappointed when a new canister proved not to be airtight, and our open package of WASA Crispbread had lost its crunch. 1. Put the crackers in the microwave on a paper towel. Don’t overlap. 2. Microwave them for 40 seconds on medium/high. 3. Allow the crackers to cool for 3-5 minutes. They will crisp up as they cool down. 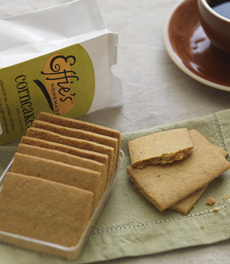 Find more of our favorite biscuits and crackers.